When parents leave their children in the care of schools, churches, or daycares, they trust that the staff will treat their children with care. There is little more terrifying to parents than to hear that their children have been subjected to physical, verbal, or sexual abuse while in the care of someone else. If your child has been harmed at a school, church, or daycare, the Chicago child abuse lawyers at Moll Law Group are available to assist you in pursuing a claim for compensation. As experienced premises liability attorneys, we understand the nuances of these types of claims and can craft a strategy tailored to your situation. In some cases of child abuse, a school, church, or daycare may be held responsible under a theory of premises liability. In order to recover compensation, you need to establish that a child care provider owed a duty to use reasonable care under the Illinois Premises Liability Act, there was a breach of that duty, the child's injury would not have happened but for the breach, the breach was the legal cause of the injuries, and you sustained damages. In premises liability cases, you typically need to show that a property owner or possessor knew or should have known about something dangerous on the premises that could hurt visitors. For example, if a school would know in the exercise of reasonable care that a teacher has a history of sexual misconduct with students but retains that teacher anyway, it may be responsible if a child is molested by that teacher. In the context of a public school, the injury must have happened during school hours, it must have been foreseeable, and the school or school employees must have acted recklessly. 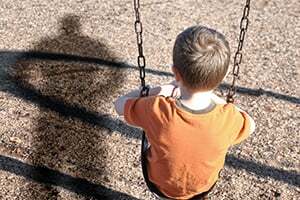 Sometimes, a child abuse attorney in Chicago may help you file a claim for compensation associated with child abuse under a theory of negligence per se (negligence as a matter of law). Generally, if the child abuse is caused by a violation of the Illinois Child Care Act or another child safety law, you may have grounds to assert negligence per se. For example, under the Child Care Act, a licensed daycare must conduct background checks on caregivers and assistants for criminal convictions or child abuse and neglect. If a daycare failed to conduct a background check for the person who abused your child, and there was something in that person's records that should have raised a red flag, the daycare may be found negligent per se. In such cases, the primary issue will be the scope and amount of compensation, rather than liability. Forms of compensation available for child abuse victims may include punitive damages, emotional distress, embarrassment, humiliation, loss of enjoyment of life, psychological harm, and expenses for psychological treatment, therapy, and counseling. In the context of child abuse in a church setting, other damages that may be available may compensate for loss of religious faith and difficulty in practicing one's religion through a particular church. If your child was hurt at a school, church, or daycare, our Chicago child abuse attorneys are available to represent you in a premises liability lawsuit against the business. We are committed to seeking justice for people in Schaumburg, Wheaton, Naperville, and communities throughout Cook County. Billions of dollars have been recovered in cases in which we have been involved. Contact us online or call us at 312-462-1700 to set up a free consultation with an injury attorney.